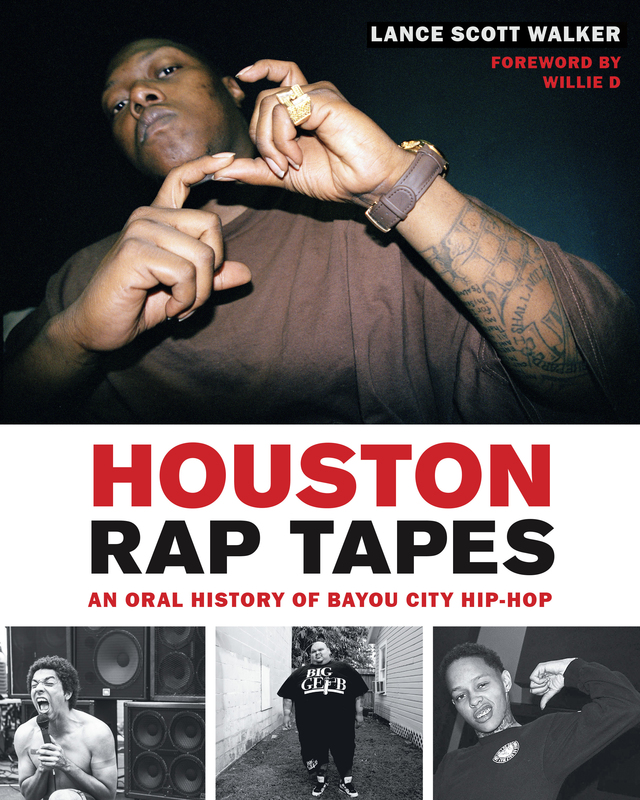 Lance Scott Walker is the author of Houston Rap Tapes: An Oral History of Bayou City Hip-Hop, released in October 2018. He will discuss the significance of the Libraries' latest exhibit, Brothers in Rhyme: Fat Pat, Big Hawk, and the Screwed Up Click. The talk is free and open to the public. Copies of Houston Rap Tapes will be available for purchase at the event. The neighborhoods of Fifth Ward, Fourth Ward, Third Ward, and the Southside of Houston, Texas, gave birth to Houston rap, a vibrant music scene that has produced globally recognized artists such as Geto Boys, DJ Screw, Pimp C and Bun B of UGK, Fat Pat, Big Moe, Z-Ro, Lil’ Troy, and Paul Wall. Lance Scott Walker and photographer Peter Beste spent a decade documenting Houston’s scene, interviewing and photographing the people—rappers, DJs, producers, promoters, record label owners—and places that give rap music from the Bayou City its distinctive character. Their collaboration produced the books Houston Rap and Houston Rap Tapes. Lance Scott Walker has written for the Houston Chronicle, Houston Press, Red Bull Music Academy, Vice, Wondering Sound, Local Houston, and Free Press Houston. He is the host of Houston Rap Tapes Radio and the founder of the live writers series Evil Hour Evening Reading.